The location and unique aspects of Kennedy Bay provide what money cannot buy, a sense of yesteryear and a slower pace of life. 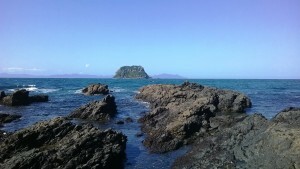 Kennedy Bay is a relatively undiscovered area of the Coromandel Peninsula. 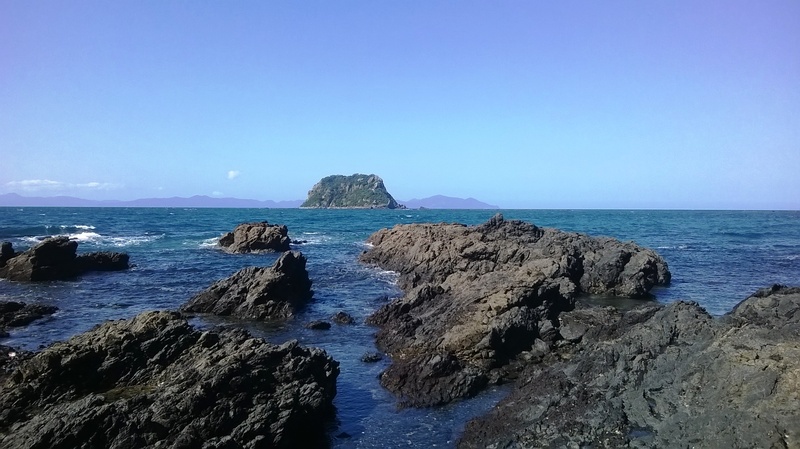 Kennedy Bay is laid back and non-commercial and makes an excellent base for exploring the northern region of the Coromandel Peninsula which includes Tuateawa, Little Bay, Waikawau Bay and Port Charles. 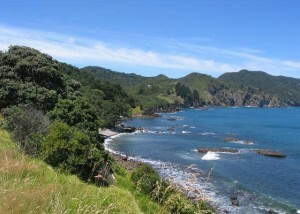 Kennedy Bay is located approximately 15 km North-East of Coromandel Town. 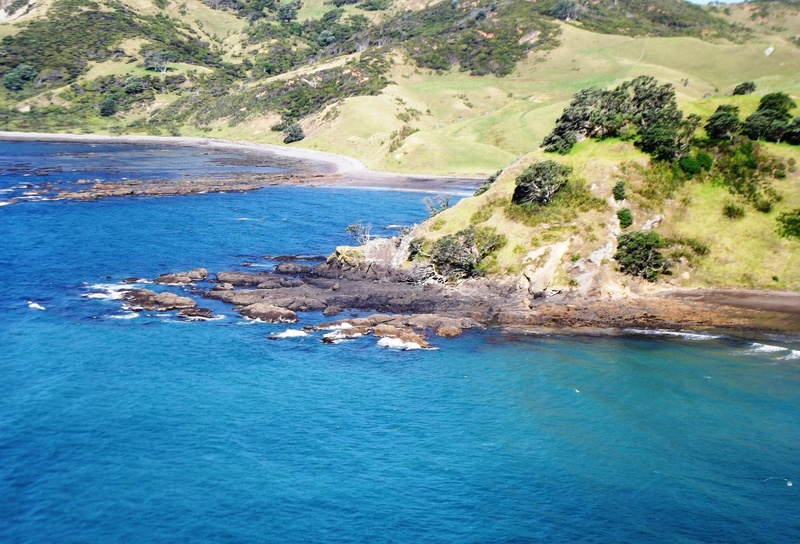 The closest airports are Auckland (170km) and Hamilton (170km) which can be seen on the map. 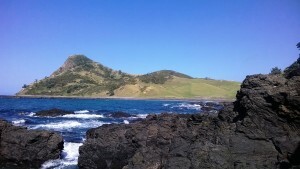 Travel by car takes around two and a half to three hours. 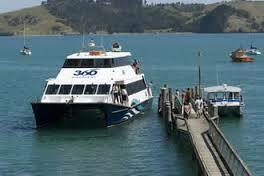 Alternatively, there is a ferry leaving from Auckland and arriving at Hannafords Jetty via Waiheke Island. 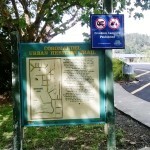 This route is shown below. It is a 2 hour trip each way. There is a free shuttle service taking passengers from Hannafords Wharf, Te Kouma through to Coromandel Township (luggage may include cycles). 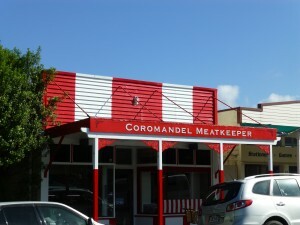 Coromandel Cabs covers Coromandel Town and surrounding areas including Whangapoua, Matarangi, Te Kouma, Manaia, Wyuna Bay, Shelly Beach, Oamary Bay, Papa Aroha and Waitete Bay. Their vehicles include an eight seater van which is in popular demand for fishing charter groups, social functions and out of town excursions. 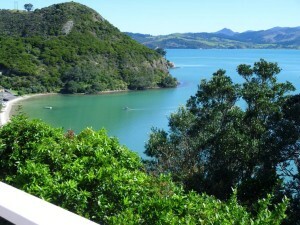 Coromandel Cabs are also available for transport to Auckland, Hamilton and Tauranga at very competitive rates. 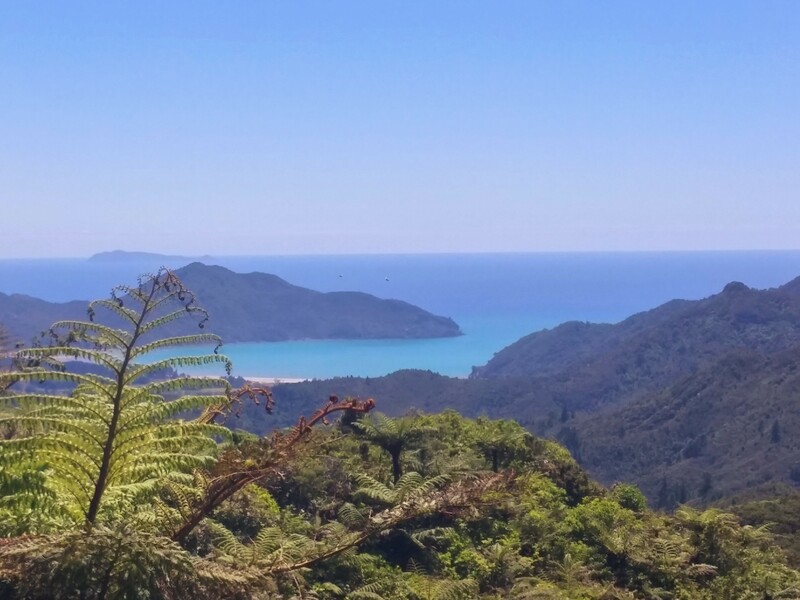 Kennedy Bay serves as an excellent base to visit many attractions and sights on the Coromandel Peninsula…The area is rich in culture and heritage, arts & crafts, walks and tracks to explore as well as supplying an abundance of “kai moana” or “sea food” to enjoy. 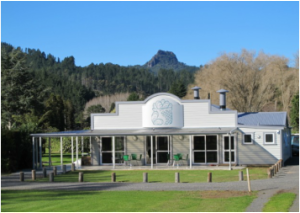 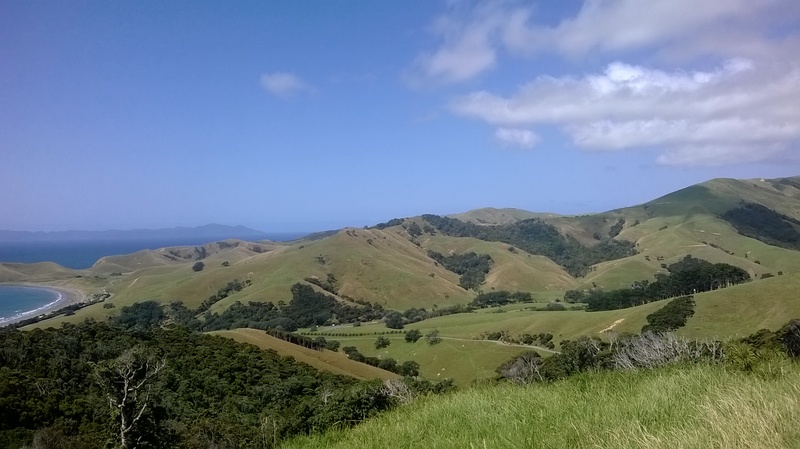 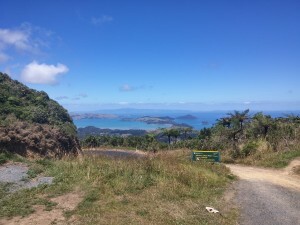 Activities on hand when staying on the Coromandel Peninsula also include various attractions to see and experience along the well known 309 Road to Whitianga such as “Stuart’s Wild Pigs” and “Waterworks”. 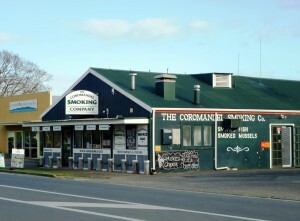 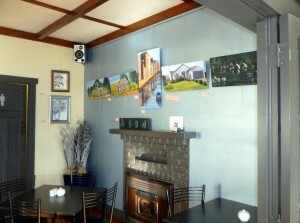 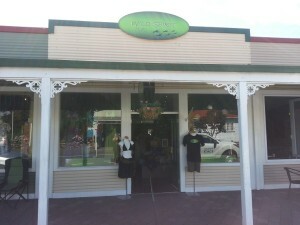 Coromandel is a haven for talented artists and craftspeople who have moved here from around New Zealand. 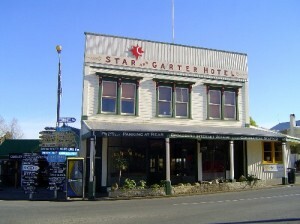 The town has a unique character, soul and ambiance reflecting art and heritage. 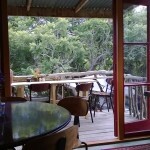 Homegrown cuisine is in abundance from its raw form to elegantly cooked at local restaurants including The Mussel Kitchen and Pepper Tree Restaurant. 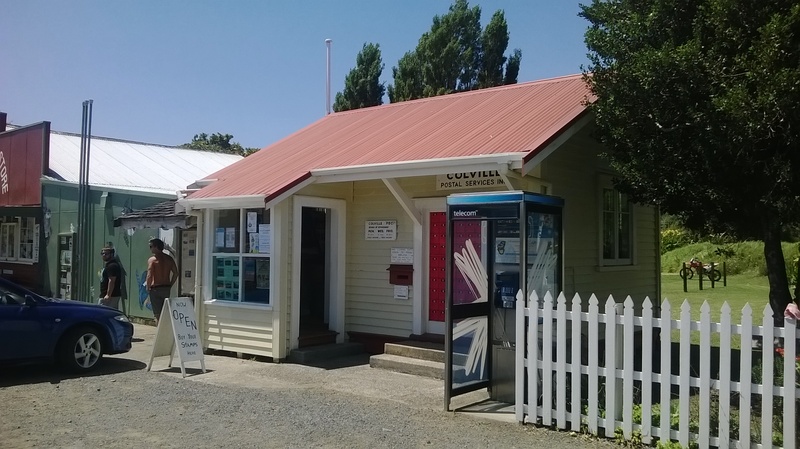 The discovery of gold in 1852 brought a boom to Coromandel Town, and the area has continued to flourish while retaining a rich stock of surviving heritage buildings. The Coromandel Stamper Battery is well worth a visit. 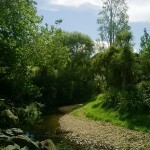 Experience the stunning landscapes of the area on the many local walks. 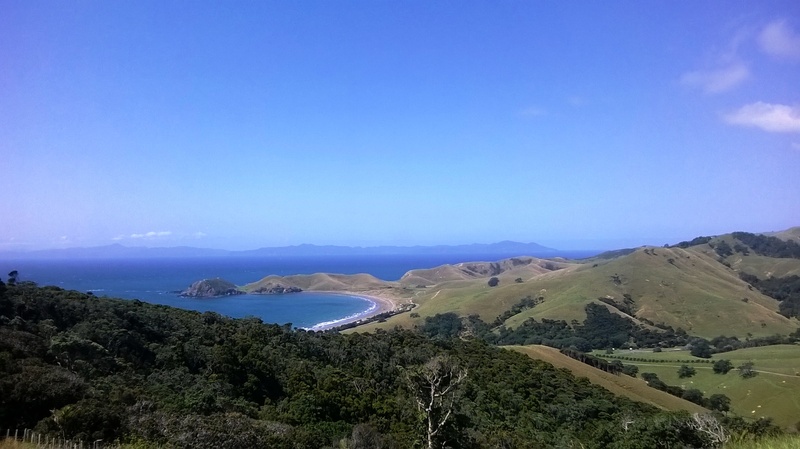 Coromandel Town is a walker’s paradise with a range of trails to explore, from short excursions to full day hikes. 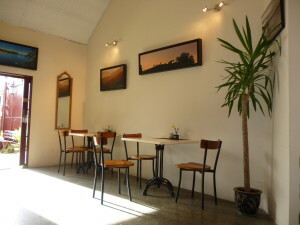 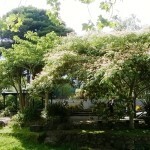 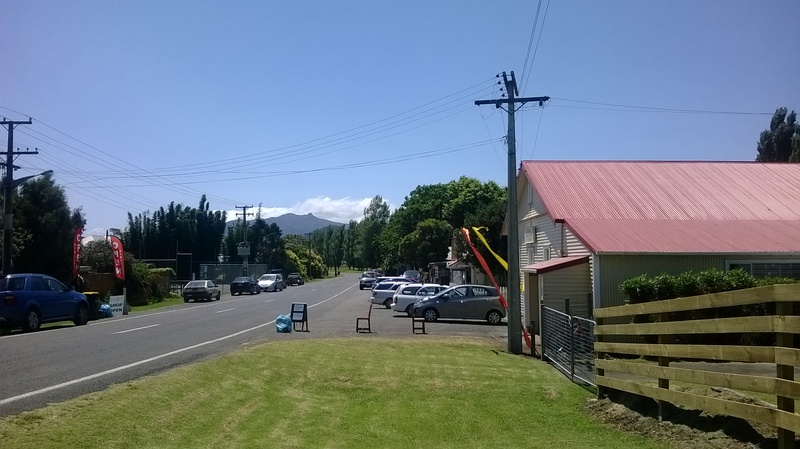 Leaving the town and turning right onto Driving Creek Rd (towards Kennedy Bay and the northeastern bays of the peninsula) is found The Driving Creek Railway and a cafe which has available a large number and variety of secondhand books for sale in a peaceful shady setting with a view. Continuing on, the narrow windy road becomes Kennedy Bay Rd and climbs upwards to reach a peak where there is a lookout area and a short steep walk to Tokatea Lookout. 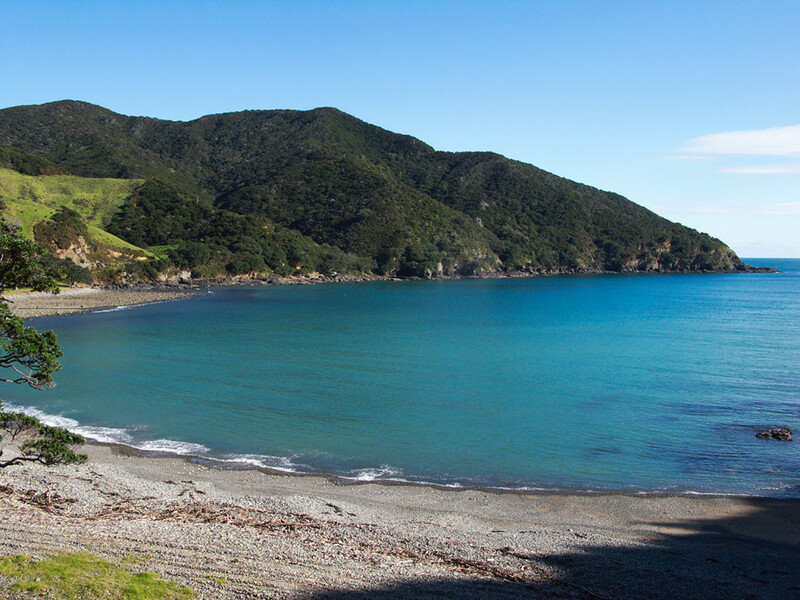 Driving on from Kennedy Bay the road becomes Tuateawa Rd which cuts across land to emerge at the coastline again at Little Bay closely followed by Waikawau Bay. 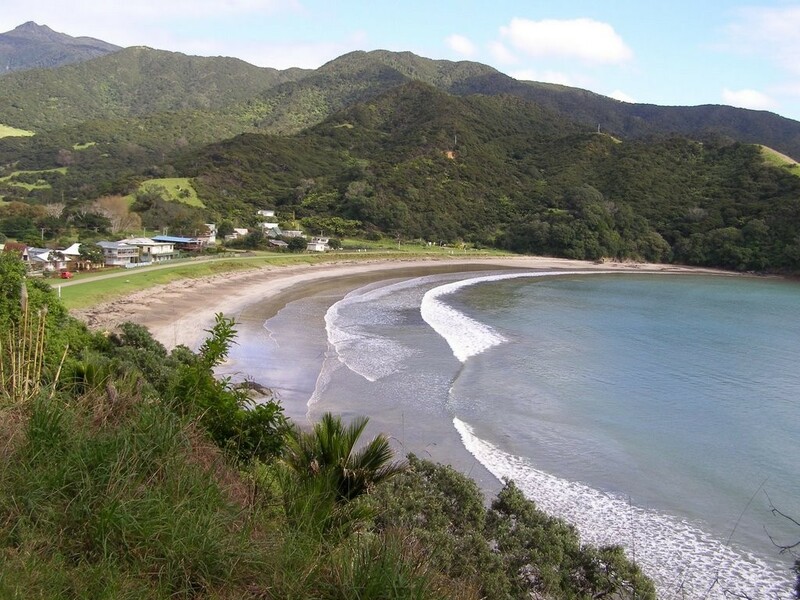 Waikawau Beach Rd then becomes Port Charles Rd which forks to the right up towards Port Charles and Sandy Bay on the east coast. 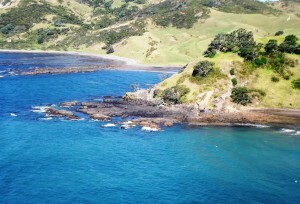 Beyond Port Charles Stony Bay Rd leads to Stony Bay and here the road ends. 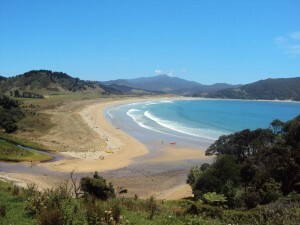 One can continue on foot along various tracks which lead to Fletcher Bay then the top of the peninsula and beyond. 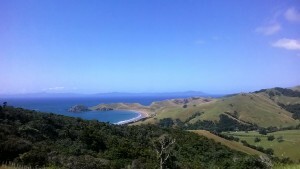 Port Charles Rd also forks to the left across the peninsula to emerge at Colville Bay on the west coast of the peninsula. 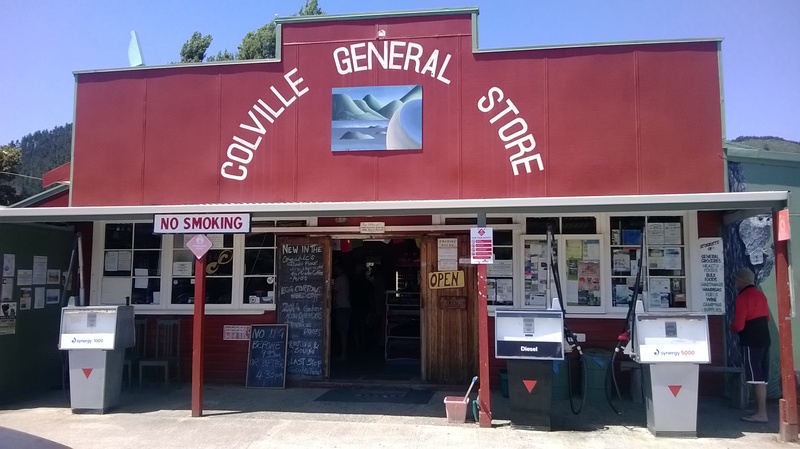 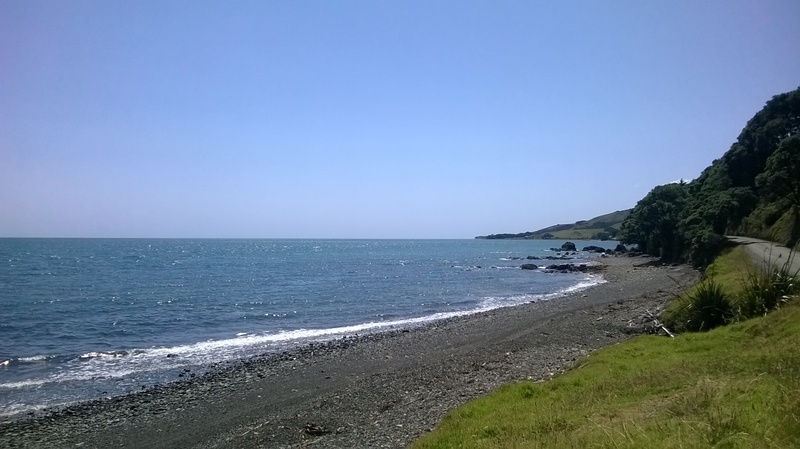 At Colville the road becomes Port Jackson Rd which hugs tightly to the coastline as one heads north from Colville Bay reaching Fantail Bay, Goat Bay and finally across farmland to reach Port Jackson. The northern most point of the peninsula is passed as one drives along Fletcher Bay Rd towards Fletcher Bay. 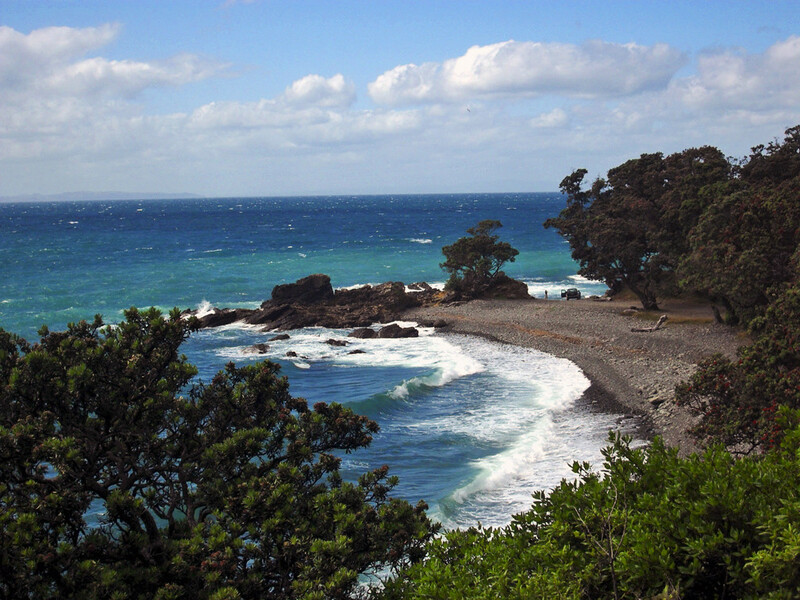 Fletcher Bay is a shelled beach with substantial rocks. 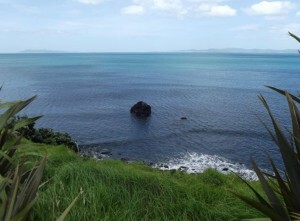 From the rocks can be seen Square Top Island and beyond the outline of the Barrier Islands.